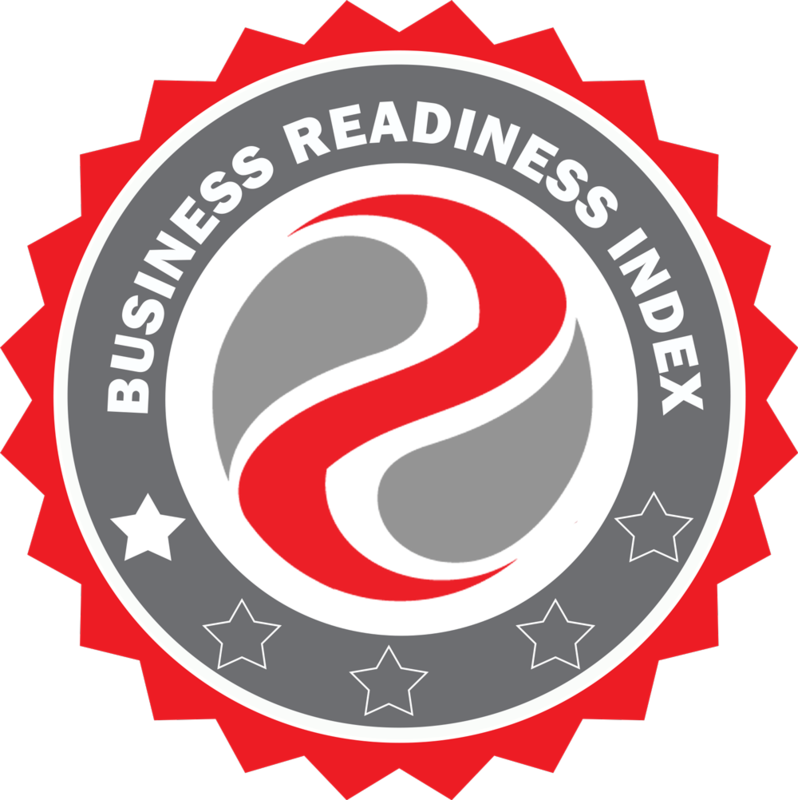 The Business Readiness Index is a short self-assessed checklist which focuses on the things you as a business owner need to know, the actions you should be taking, and your understanding of your environment before and during a disaster. The result of the checklist is your very own Business Maturity Level, up to a maximum of level 5. Answer the questions to the best of your knowledge. There is no time limit. You may take the test as many times as you like. Question 1. Are you aware of news and general information on disasters that may directly or indirectly affect your business? To facilitate understanding of the types of disasters that can affect your business. These disasters include floods, storms, bushfires, cyclone, drought and others. They also include disruptions to electricity or communications, impact on suppliers and/or customers. The purpose of this question is to encourage your business to establish information channels where disaster information can be regularly accessed and reviewed. For example: bom.gov.au. Question 2. Are you aware of the support given by government or support groups on disaster preparation or in the event your business was affected by a disaster? To facilitate understanding of the types of support that can be bestowed to your organisation in disaster preparation or when your business is affected by a disaster. For example: Local Council and Business Roundtable EXTEND to assist with preparedness. Question 3. A Risk Management Plan helps you to identify the potential risk affecting your business, and the prevention steps in the event of the risk occurring. Do you have a Risk Management Plan? Download a detailed Business Continuity Plan template (or a shorter 2-page Business Continuity Plan for Small Enterprises). Question 4. A Business Impact Analysis Plan helps you to prepare your business in the event of a disaster. Do you have a Business Impact Analysis Plan? If you have already downloaded the Business Continuity Plan template from Question 3, the Business Impact Analysis Plan is pages 13 - 16. If not, download Business Continuity Plan template and go to the relevant section. Question 5. An Incident Response Plan helps your business to respond in the event of a disaster. Do you have an Incident Response Plan? If you have already downloaded the Business Continuity Plan template from Question 3, the Incident Response Plan is pages 17 - 22. If not, download Business Continuity Plan template and go to the relevant section. Question 6. A Recovery Plan helps your business to recover quickly in the event where your business is affected by a disaster. Do you have a Recovery Plan? If you have already downloaded the Business Continuity Plan template from Question 3, the Recovery Plan is pages 23 - 27. If not, download Business Continuity Plan template and go to the relevant section. Question 7. Have you acquired enough supplies to last your business for X days in the event of the disaster? Part of the Business Continuity Planning (in Level 3) requires business owners to think about their supplies and suppliers upstream. This KPI requires them to act on their action plan and acquire enough supplies to last them for a period of time. Each disaster is different, likewise with every business. The X days may range from a period of 3 days to 6 months. Conformance to this KPI also requires owners to review it on a half-yearly basis. Question 8. Have you or your business conducted regular evacuation and fire drills? Part of the Business Continuity Planning (in Level 3) requires business owners to think about their evacuation plans. This KPI requires staff within the business to rehearse and be familiarised with the evacuation plan in the event of a disaster. Conformance to this KPI also requires owners to review it on a half-yearly basis. Question 9. If there are any major changes to your company during the last three months such as staff turnover, business relocation, etc, have you reviewed and update your business continuity plans? Organisations change and evolve all the time. Part of the Business Continuity Planning (in Level 3) requires business owners to revaluate their plans whenever there are changes in the company. Conformance to this KPI also requires owner to review it on a half-yearly basis. Question 10. Are your upstream suppliers disaster prepared? For example, if they have attained Business Readiness Index at Level 3 and above? For supplies that can be hoarded in advance (i.e. electricity, website, email), this KPI requires owners to think about their dependencies to their supply-chain upstream. It may also require owners to send an invitation to participate in the Business Readiness Index to these suppliers and have them assessed at a minimum of level 3 before this KPI can be satisfied. Question 11. Have you participated in any peer events or discussions that can potentially help you and other business owners in disaster preparation? This KPI requires owners to partake in online/offline discussion, seminars or workshops in disaster preparation. For example, Business Roundtable EXTEND. Question 12. Are your customers aware of your achievements in attaining competency in the Business Readiness Index? This KPI allows business owners to inform their customers online/offline on their competency in disaster preparation. It may include a certified badge to be included on their website, or a printed certification which can be displayed on their business premises.